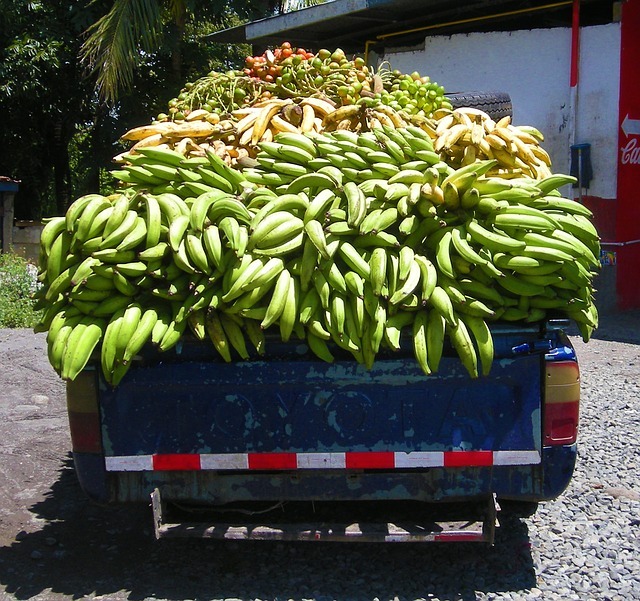 For a dollar you get about 10 or more of these green plantains or plátanos verdes. 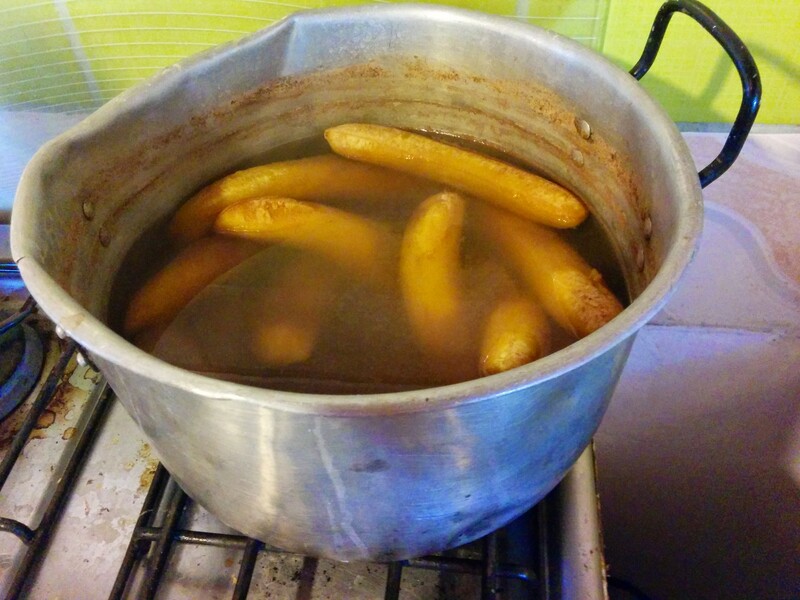 While I quickly got used to seeing plantains for sale everywhere, it took me a while to appreciate the extent to which they are a part of the local diet and even longer to learn how to cook with them myself. 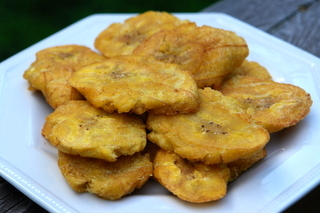 Plantains are eaten more like a potato than their sweet counterpart, the banana. They are hard, starchy and require cooking before being eaten. 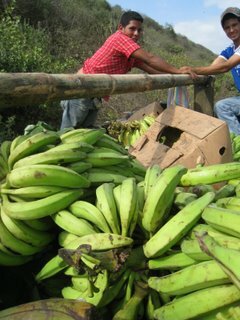 When ripe, they yellow, become slightly sweet and are called maduros (“matures”). 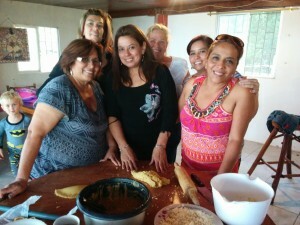 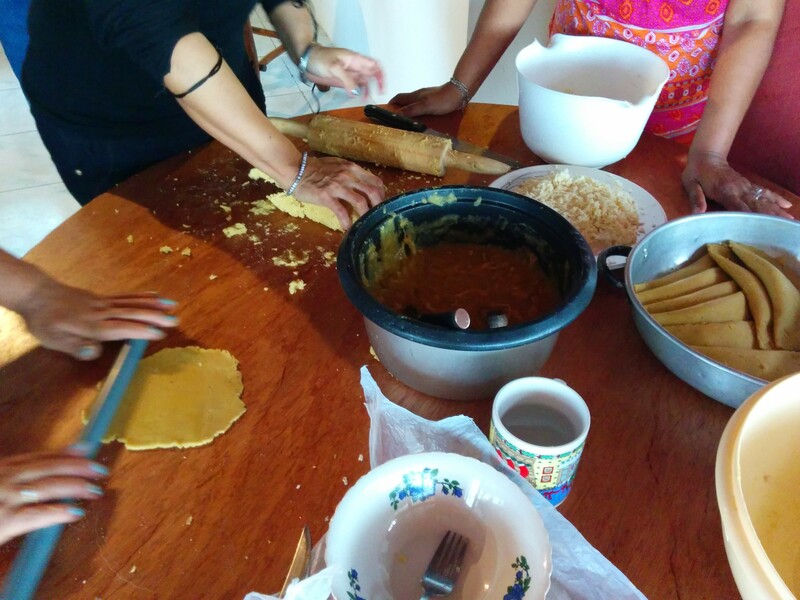 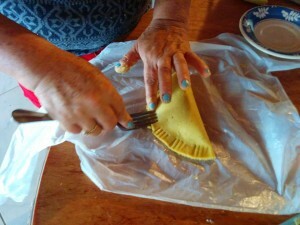 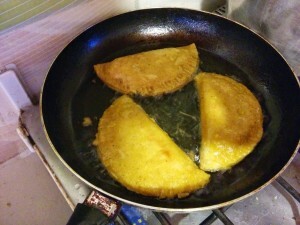 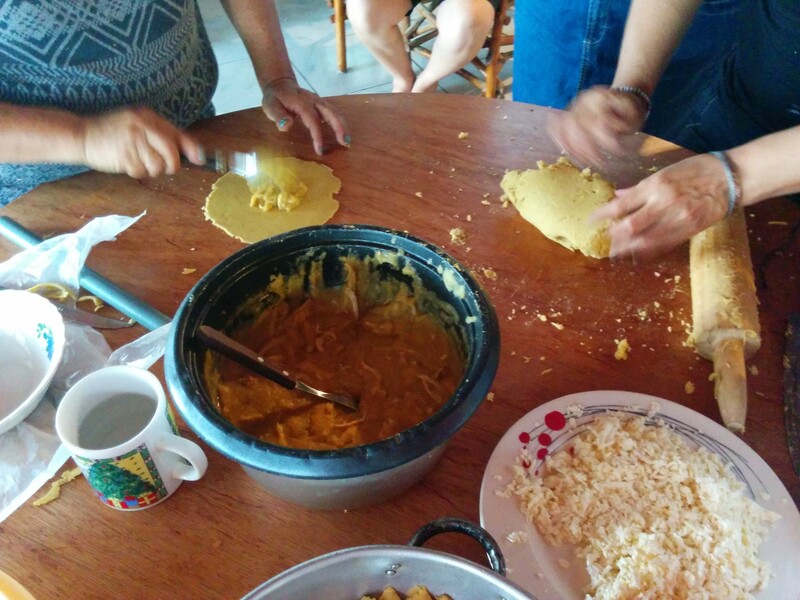 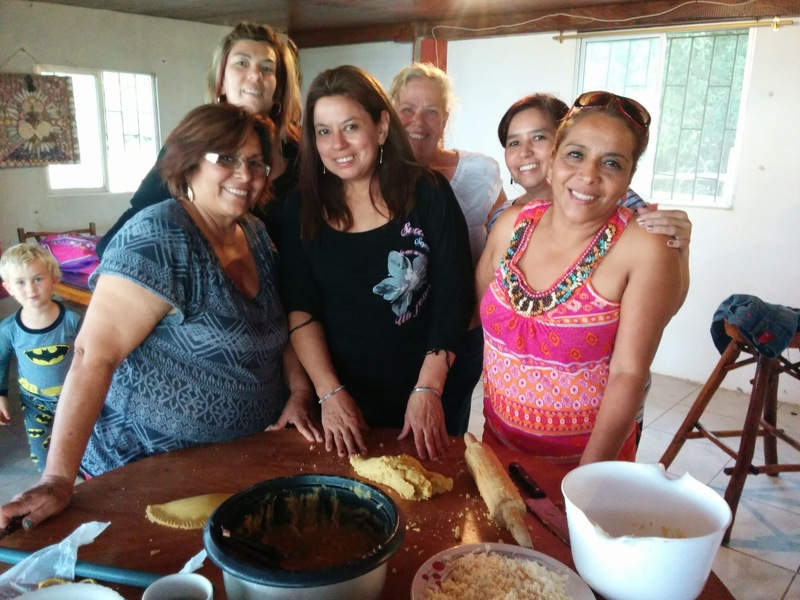 Typical coastal Ecuadorian foods using plantain include empanadas, corviche, bolones de verde, bolones de maduro con queso, patacones, chifles, maduros con queso, maduros asados con sal prieta, torta de plátano, gato encerrado, and the list goes on and on. Today, I’ll showcase the simple process of making empanadas de verde using photos I snapped while learning how to make them from some friends the other day. 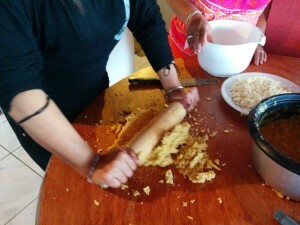 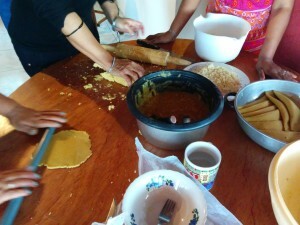 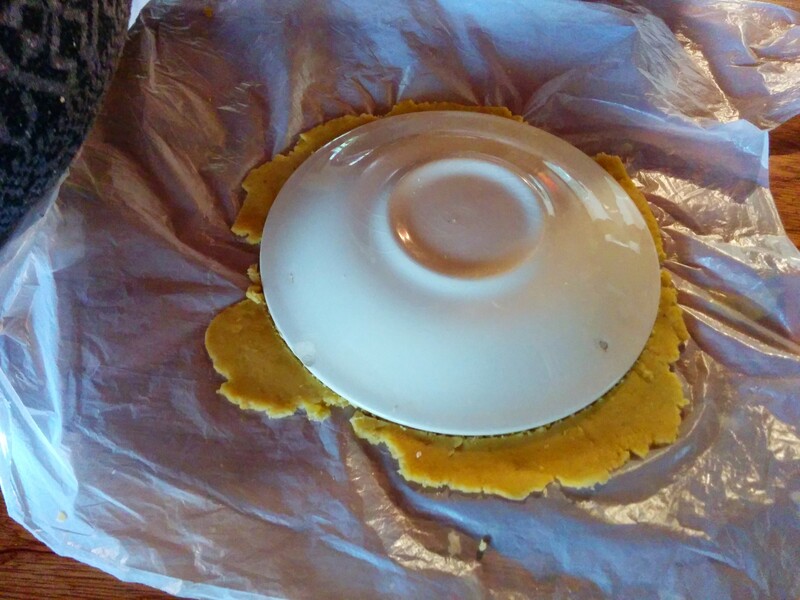 Once mashed, the plantain dough was balled into a log from which they cut off pieces to roll out. The 1/2 inch PVC pipe makes for a surprisingly effective rolling pin! 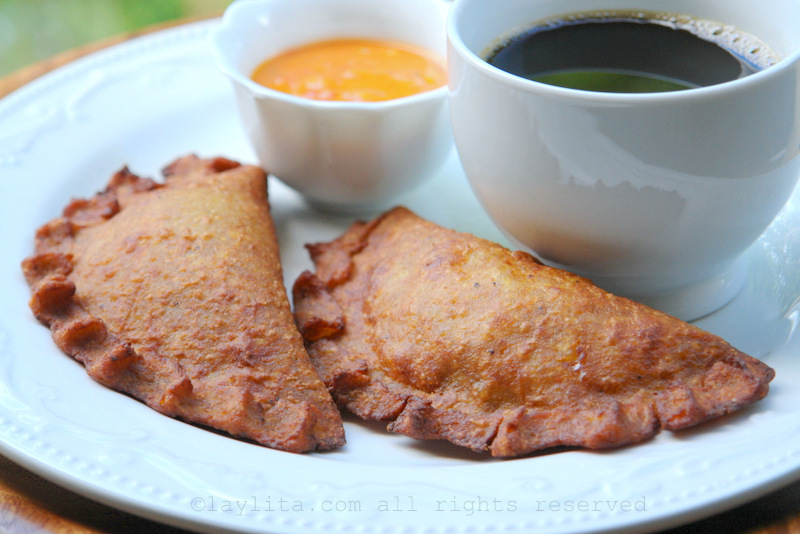 Step 6: Enjoy with some fresh ají (pronounced “Ah-HEE”, a hot sauce usually made with pickled veggies) and a cup of coffee.